Jim Bowie was the inventor of the heavy fighting blade known as “the bowie knife.” What many don’t know about Bowie is that he was also a card cheat, slave trader, and swindled people in land deals. He also fought duels. He killed a man in near Natchez, Mississippi, in 1827 in which he literally brought a knife to a gunfight. So Bowie spent much of his life on the run. He ended up in Texas as an officer in charge of the garrison at San Antonio… until it was learned that he was never in the army. Col. William Travis took over as commanding officer, but the two came to share leadership when they found themselves together two years later at a little church outside San Antonia called “The Alamo.” It was there that Bowie stopped running. When it became obvious that their cause was hopeless, Travis drew a line in the sand with his sword asking all who were with him and with Texas to step across the line. Everyone knew that to stand their ground in the Alamo meant certain death. 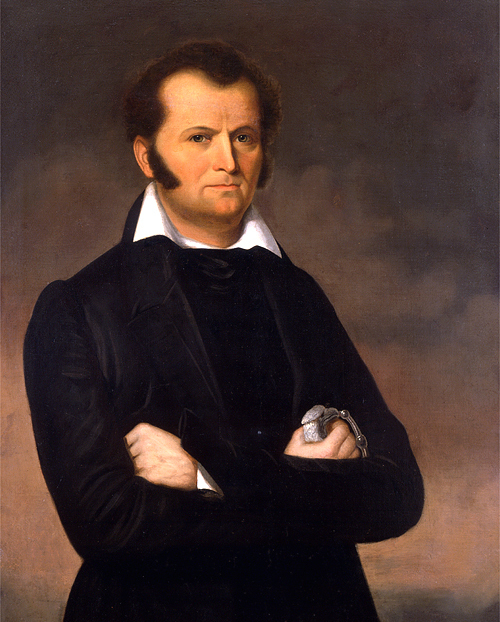 Jim Bowie, confined to his bed by tuberculosis, had four of his men carry him, bed and all across Travis’ line. Jim Bowie stopped running at the Alamo. This is apparently where we get the expression, “to draw a line in the sand.” When we draw a line in the sand, we make a commitment, we take a stand. To draw a line in the sand is to make commitment where there is no giving up and there is no going back. Paul told the Romans that baptism was their line in the sand. They could not “go on sinning so that grace may increase” (Rom 6:1). I don't think I have really ever heard someone saying that in so many words, “God likes forgiving sins; I like sinning. What a country!” Most Christians believe sin is serious business that should be avoided. But many Christians also believe that grace somehow makes sin somewhat less serious. After all, nobody is perfect! The sin that was such an ugly, monstrous beast has somehow been domesticated because we understand all this grace stuff. Sometimes we act as if sin doesn’t matter quite so much anymore. Grace should not let us get more comfortable with sin. No, grace points us to the terrible price that was paid to free us. Baptism is our line in the sand; we crossed over and we can't go back.